The "early play footage" trailer. 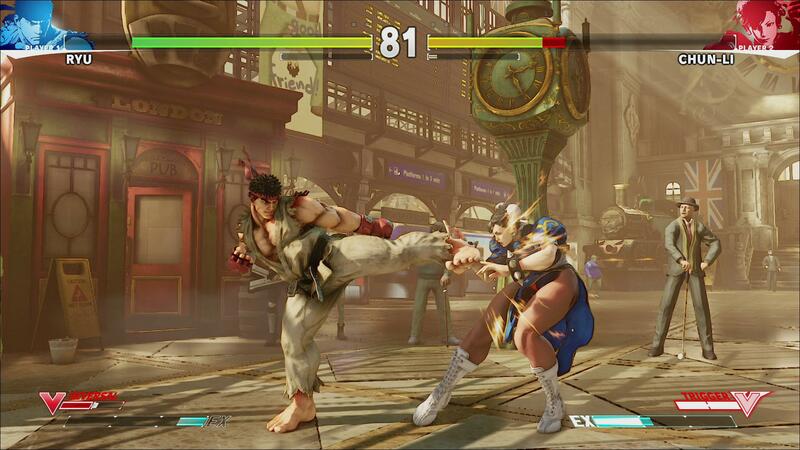 Very SF4-like... except that it looks like they're going for a somewhat more versatile combo-friendly system. I've had a subscription there for years. They somehow get wallpapers that no one else can get, and they charge you for downloading. Supposedly the files you download are tagged with your membership information, to dissuade you from sharing them, but I doubt they are going to cancel my subscription over it. I'll see if I can make a header from it. I doubt it though. Not much going in the long and narrow format that I use. The stitched-on grey skin looks pretty gross. 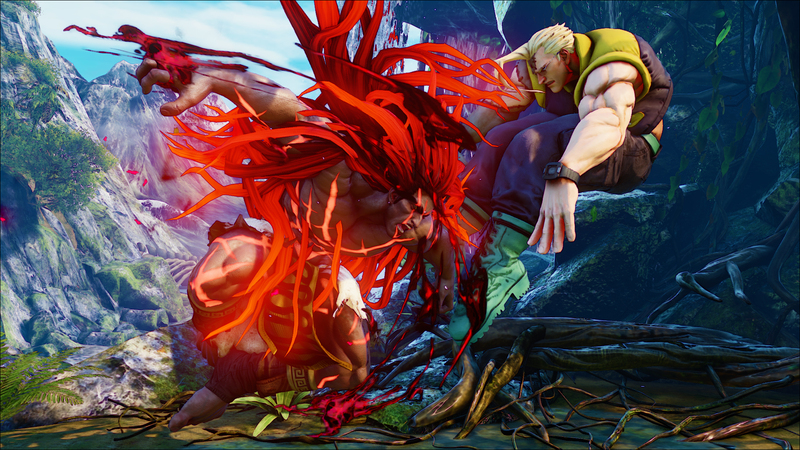 We just announced some big Street Fighter V news today at the Capcom panel here at EVO 2015. There is quite a lot of information to take in, so buckle down and read carefully! 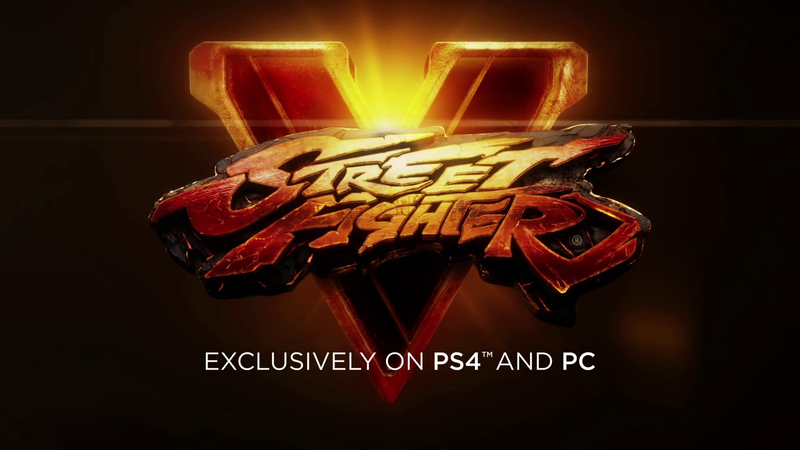 That’s right; Street Fighter V will be the first iteration in the franchise where it is possible for dedicated players to earn all gameplay related content (such as characters) for free, simply by playing the game. Long gone are the days of forced Super and Ultra upgrades! Enjoy free balance updates as soon as they become available, and find and choose the post-launch characters that you want to get. 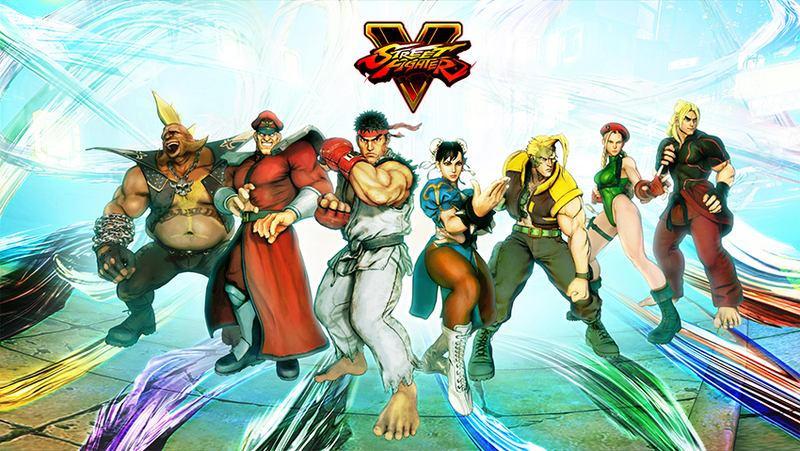 Speaking of characters, Street Fighter V will launch with a core roster of 16 playable characters, with 4 of them being brand new fighters to the Street Fighter universe. Post-launch, we will be adding new characters to the roster on a continuous basis, which will provide new content for players to enjoy. 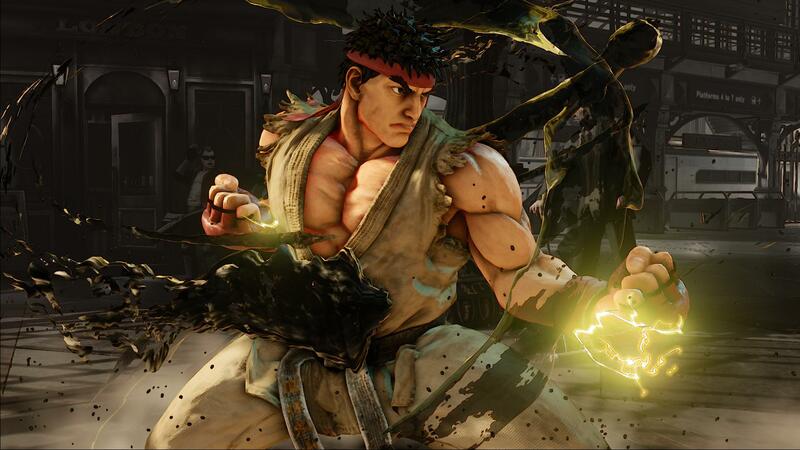 Again, every post-launch character released will be earnable for free through gameplay! 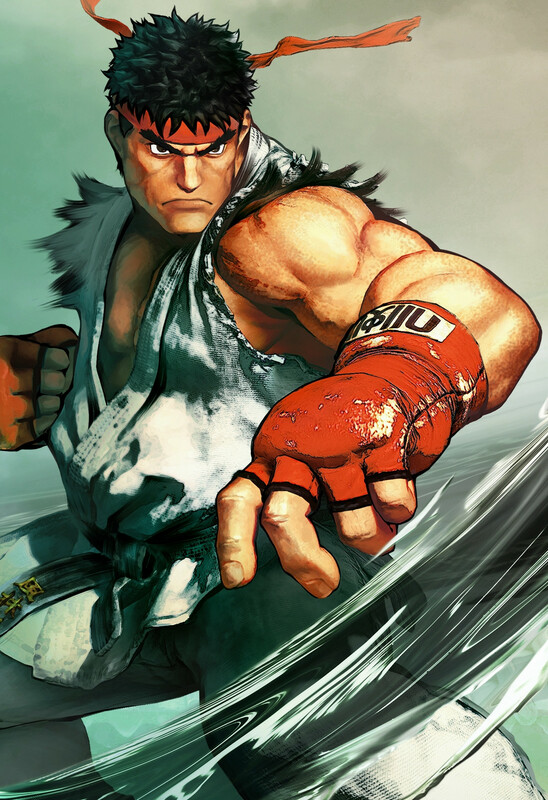 Looking back on the Street Fighter IV series, we had always released bundles of content all at once, like with Super Street Fighter IV and Ultra Street Fighter IV. 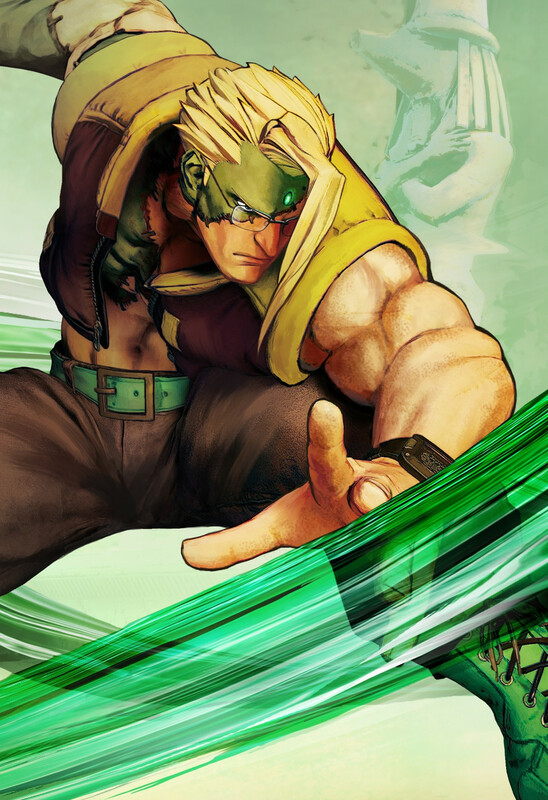 While these one-time updates did revive interest in the series every few years, it was difficult to keep players engaged for long periods of time unless they were competitive. This also punished players who took a break from playing the game, because if they wanted to start again in a few years, they would be forced to purchase an upgrade to join the existing player pool who had already moved on to a new version. On top of that, this old method also forced players to purchase all of the new content, even if only a few characters may have appealed to them. 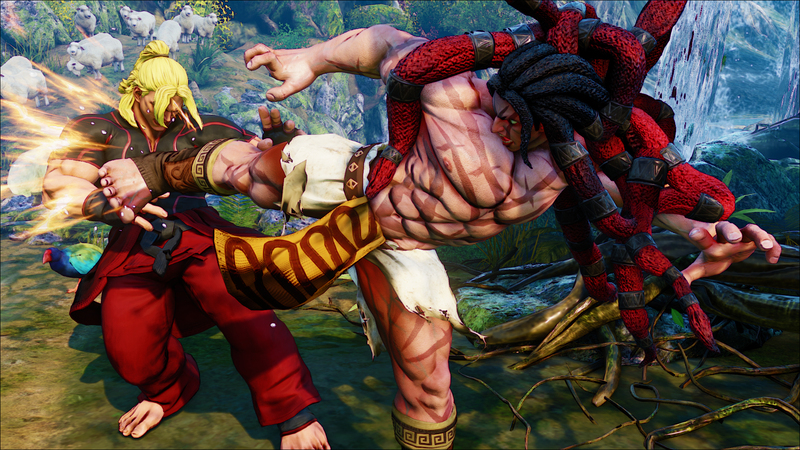 With Street Fighter V, we want to change the way that players interact with the series, and create an ever-evolving environment for players to enjoy. 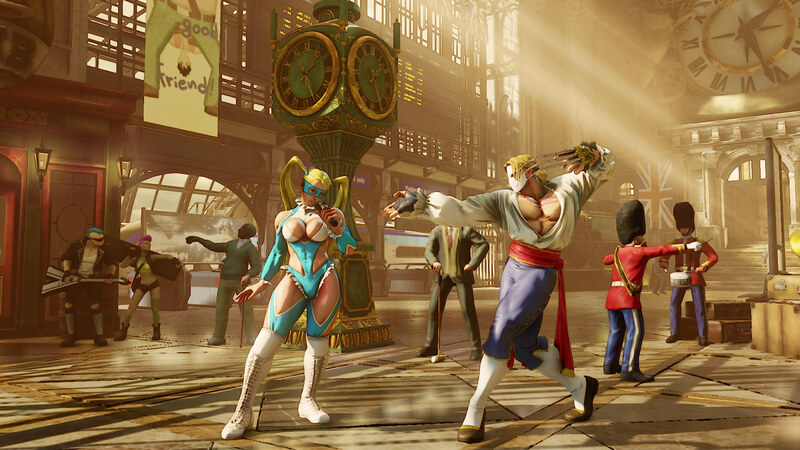 By releasing new characters on a regular basis, it will ensure that there is always new content to look forward to in the short term, and it prevents the competitive environment from ever becoming stale. Players also have more freedom in their decisions, as they only need to purchase or earn the content that appeals to them. This will also create more long-term engagement, because the more you play the game, the more you are rewarded and can earn new content. The player base is never shrunk by requiring a paid update like in years past. 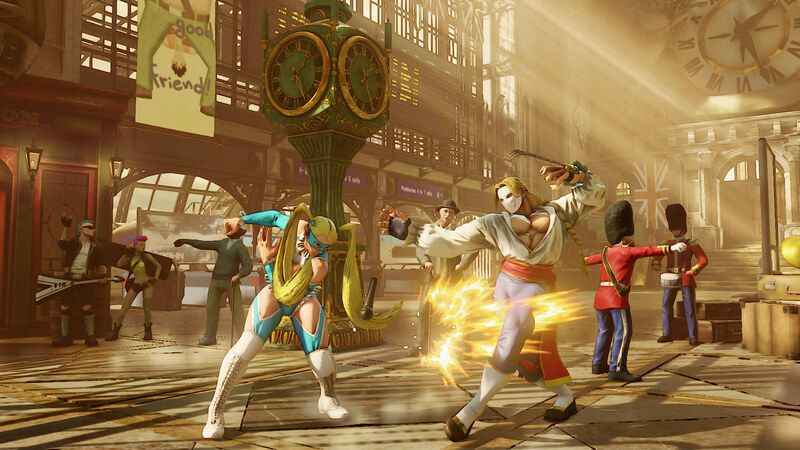 Players can take a break from the game, but then come back at any time and continue to play with the characters they already own, with the newest gameplay balance. 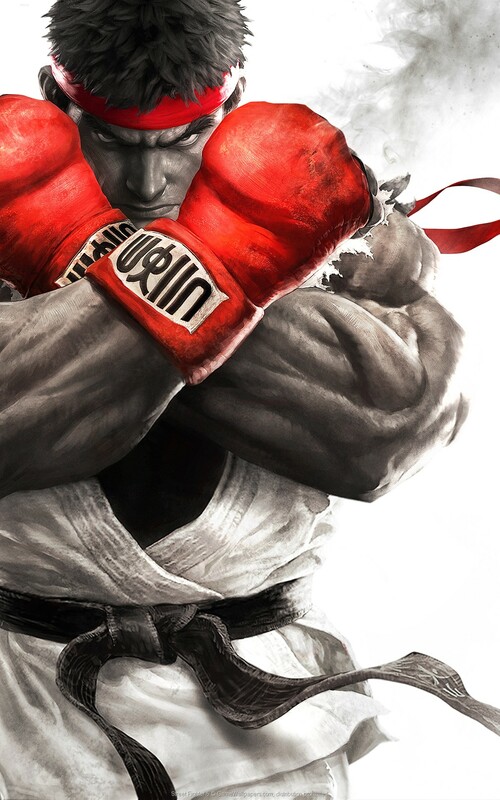 • Fight Money - This is basic currency that players earn through playing the game. 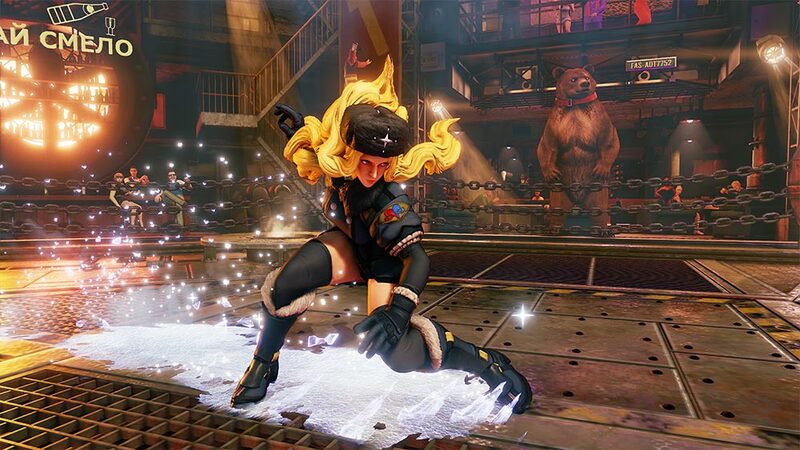 Once players accumulate enough Fight Money, they can use it to earn new post-launch gameplay content, such as characters, for free! • Zenny - This is premium currency that players can purchase with real money to immediately gain access to post-launch content. We will be using later beta phases to test the economy and ensure it works in a fair way for everyone. Phew! That was a lot of info, so we hope it all makes sense to everyone. We are extremely excited about this new post-launch strategy, and we’ll be talking about more specific details at a later date. For now, we hope everyone is excited to start playing and earning content! 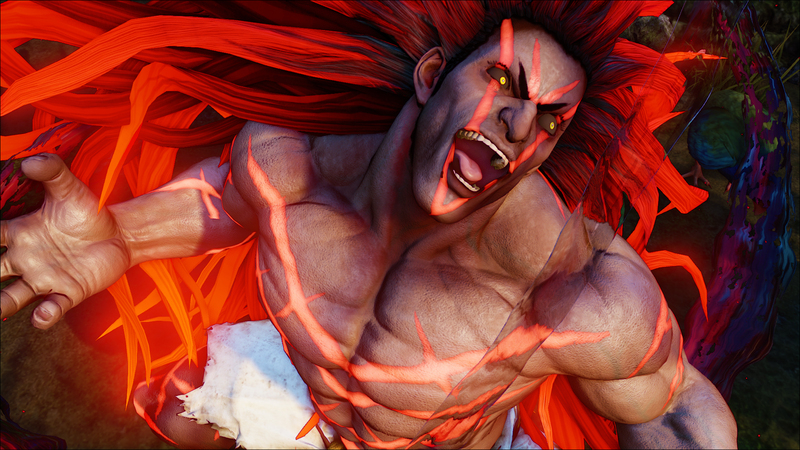 Brand New SFV Character and Gameplay Details Revealed at EVO 2015! 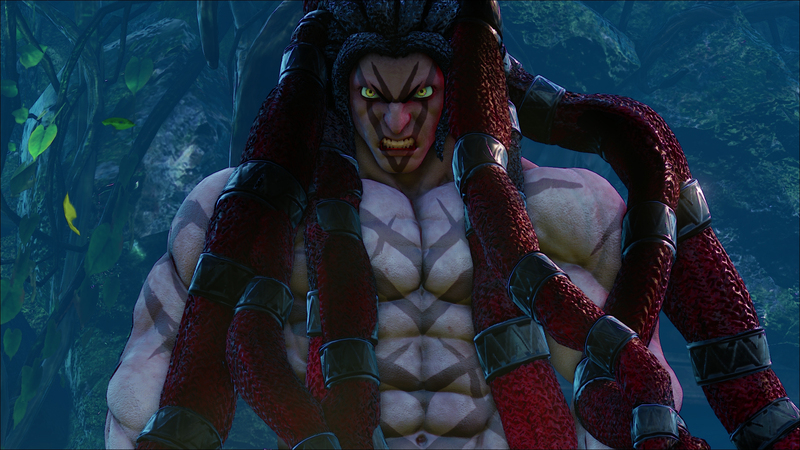 Announced at EVO 2015 in Las Vegas, Capcom confirmed the first brand new fighter to join the Street Fighter V roster - the mysterious Necalli! 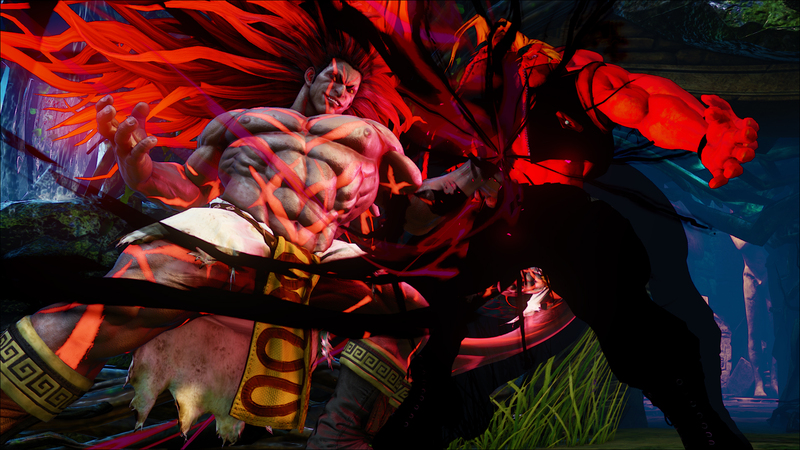 You can check out his fighting style in the latest gameplay trailer and screenshots just released on the press site. 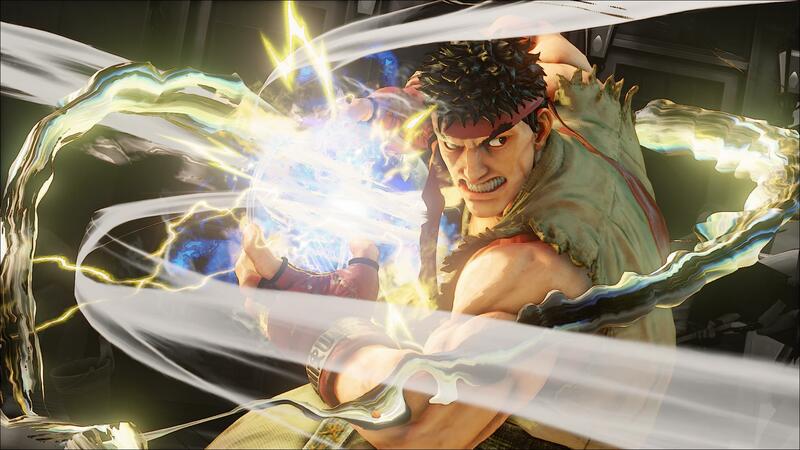 Capcom also confirmed the details of the content plan for Street Fighter V. The initial game purchase will be the only disc or full game download you will ever need to own. For the first time ever, all post-launch gameplay related content will be earnable via gameplay, totally free of charge. Players will also have the option to purchase the content as soon as it’s available if they wish to do so. Any balance and system adjustments will be available for free also. 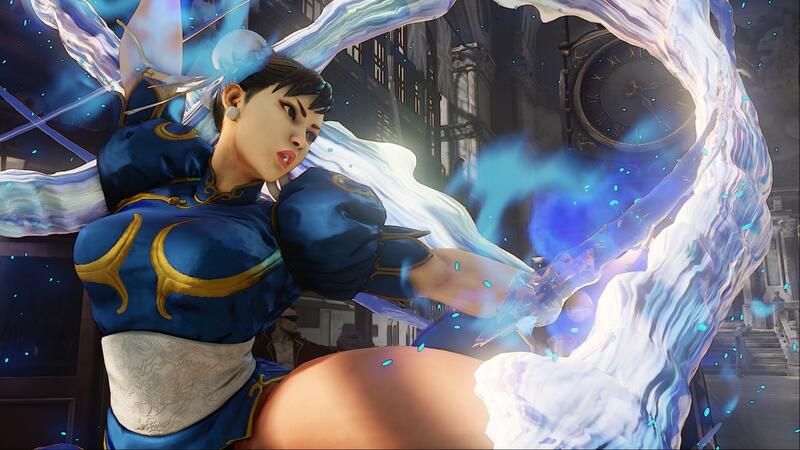 Releasing in Spring 2016, the title will launch with a core roster of 16 characters, including 4 brand new fighters to the Street Fighter universe. 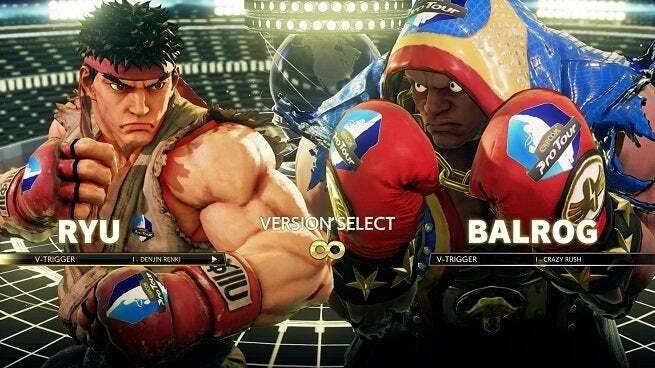 Capcom will continually add additional characters, making this the first iteration in the franchise where it’s possible for dedicated players to continue to expand on their gameplay experience without the need to purchase further titles in the series. 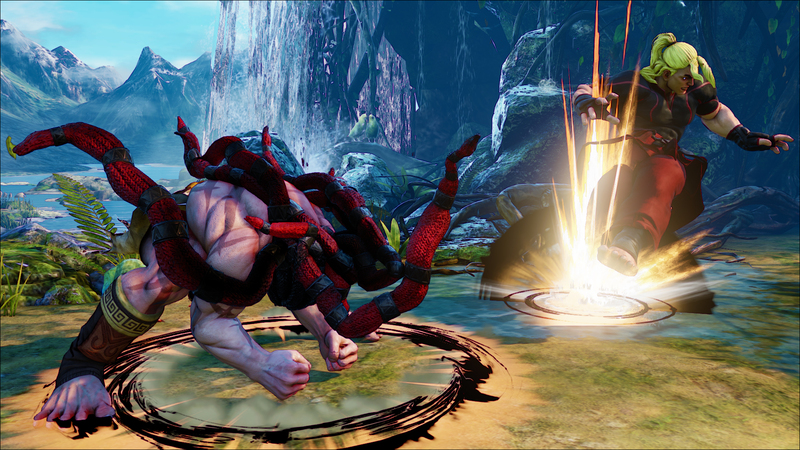 Possessing a wide variety of savage and close range attacks, all of Necalli’s moves have been forged through the heat of battle to ensure he’s inflicting maximum pain upon his opponents. 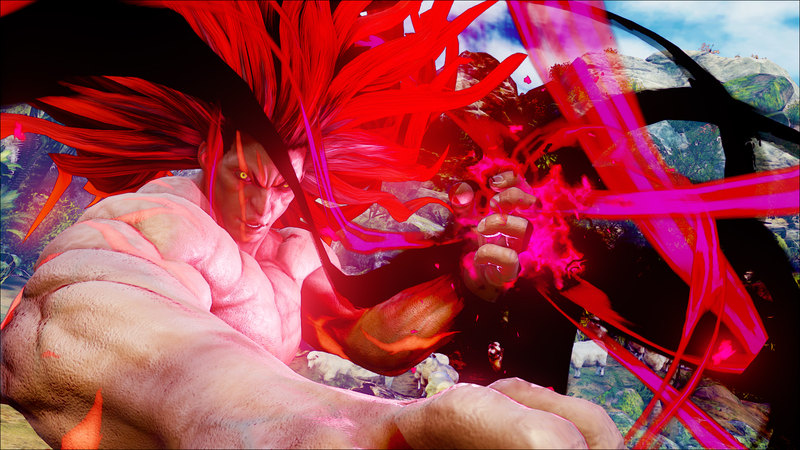 Making full use of the Battle System mechanics, Necalli’s V-Skill allows him to pound the ground with both fists, creating an explosion that damages the enemy whereas the powerful V-Trigger allows him to channel a mysterious energy that changes his hair colour and alters his personality for a short period of time. 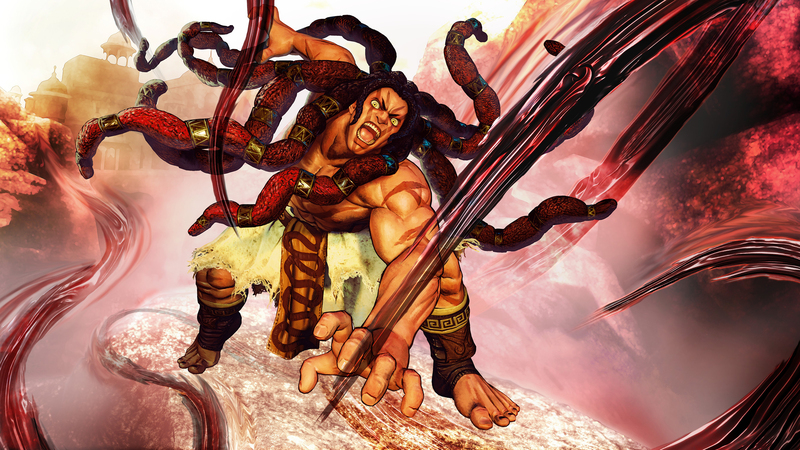 Capcom will be revealing more information on Necalli’s origin and storyline in the coming months so stay tuned for more details. 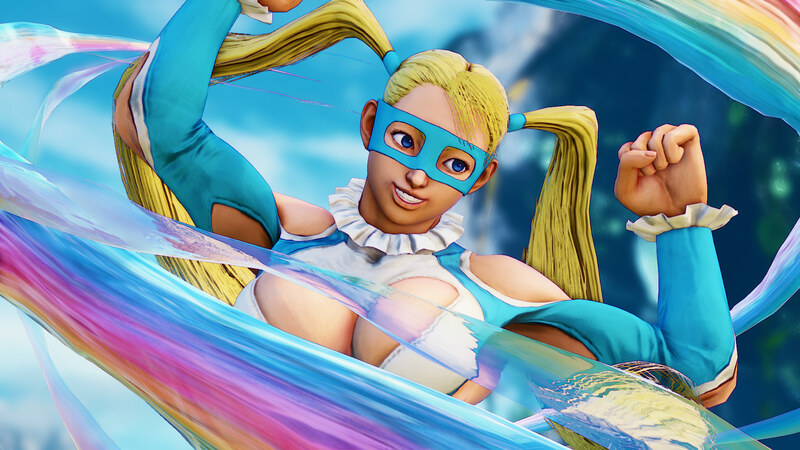 The latest character for Street Fighter 5 has been officially unveiled, and it's the enthusiastic wrestlerette of Street Fighter Alpha 3 fame, R. Mika. This falls in line with statements made by Ono earlier this week, saying that he finally got his wish. 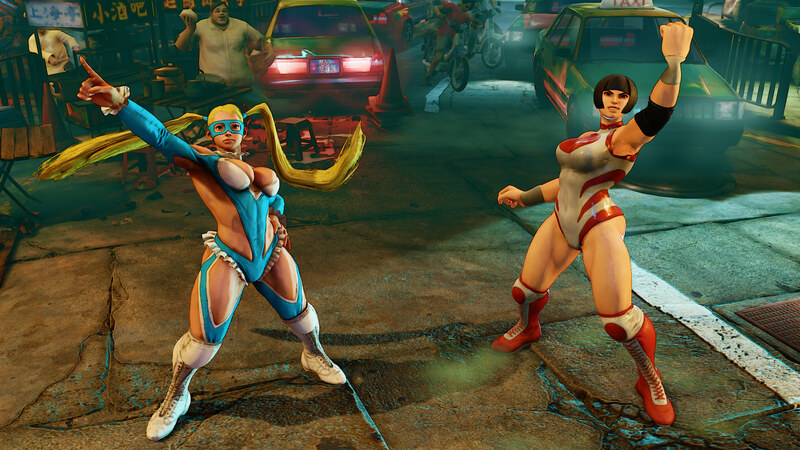 R. Mika joins fellow Alpha series alumni Charlie Nash and Birdie in being revitialized for Street Fighter. 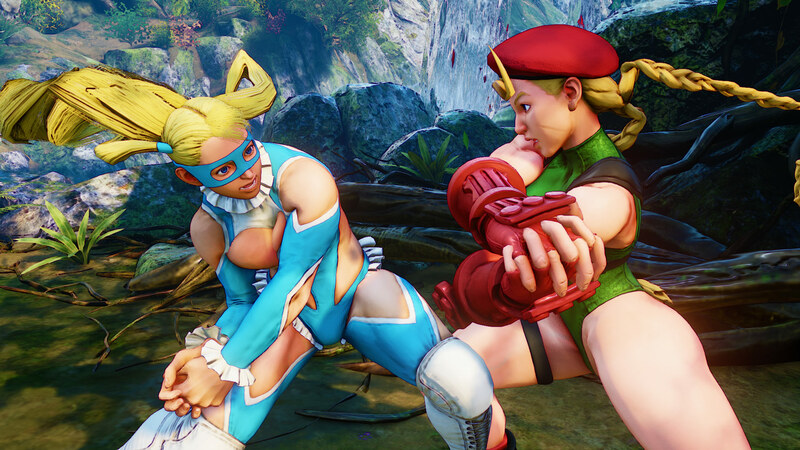 It was also reported by Capcom that R. Mika will be available for attendees at this weekend's PAX Prime to play at their booth. 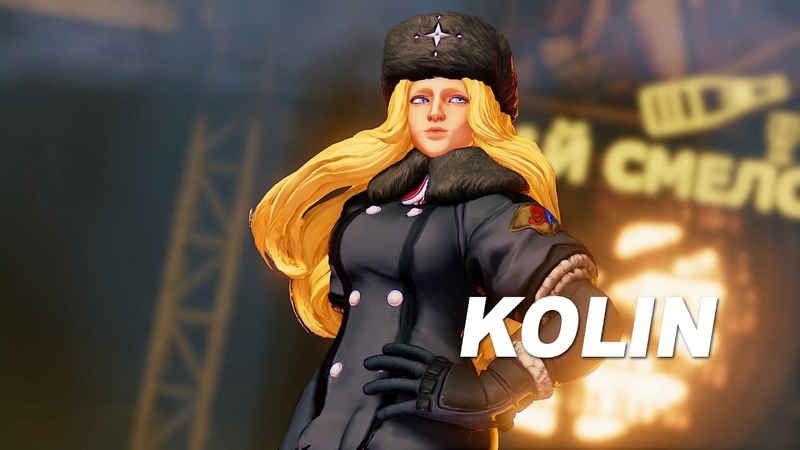 Further, they elaborated on the character, her story, her place in the game and her playstyle in this blurb you can find below. 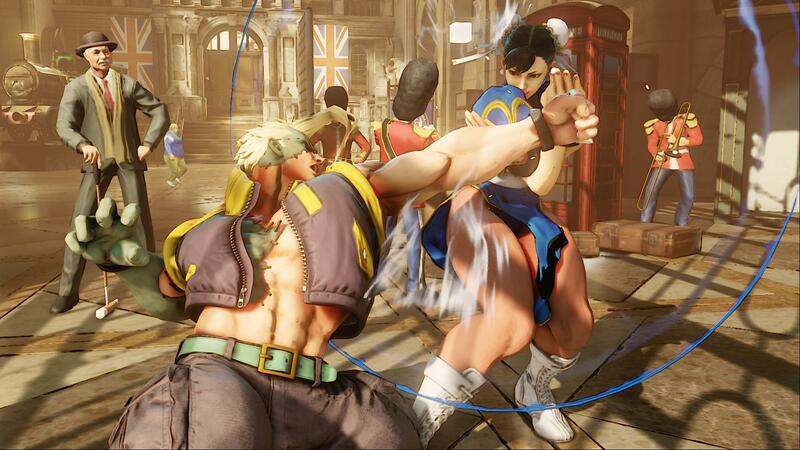 As an aspiring young wrestler, Mika dreamed of one day becoming a star in the ring, much like her idol Zangief. 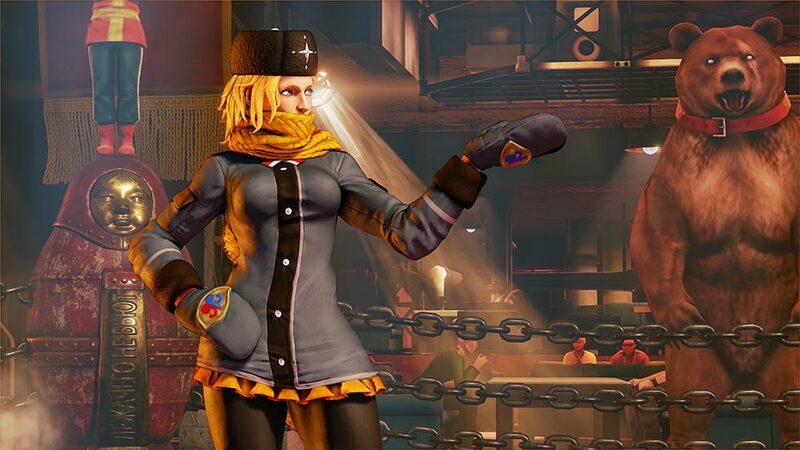 Training under the strict tutelage of her coach, she traveled the world engaging in random matches with street fighters in order to spread her name and popularity. 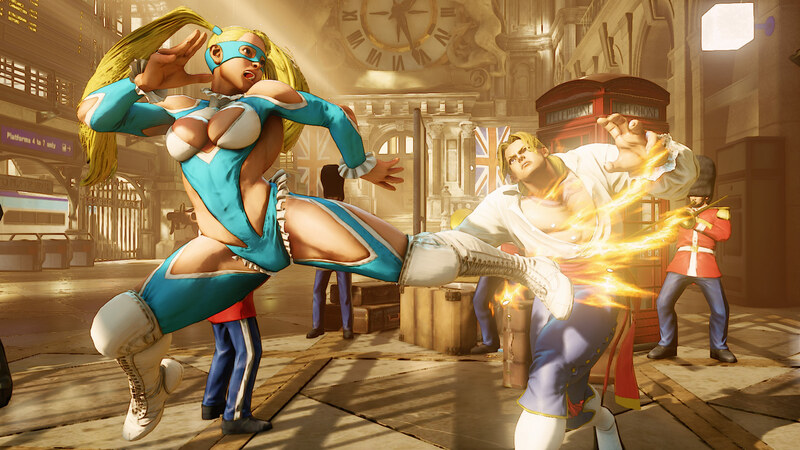 R. Mika’s wrestling prowess will be on full display in Street Fighter V, as she dazzles opponents with a wide variety of high-flying moves. 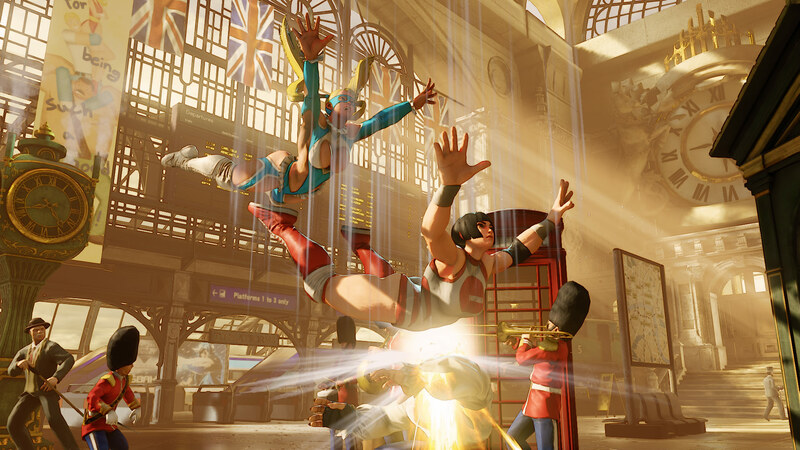 This time around, her wrestling tag-team partner Nadeshiko assists in the fight! 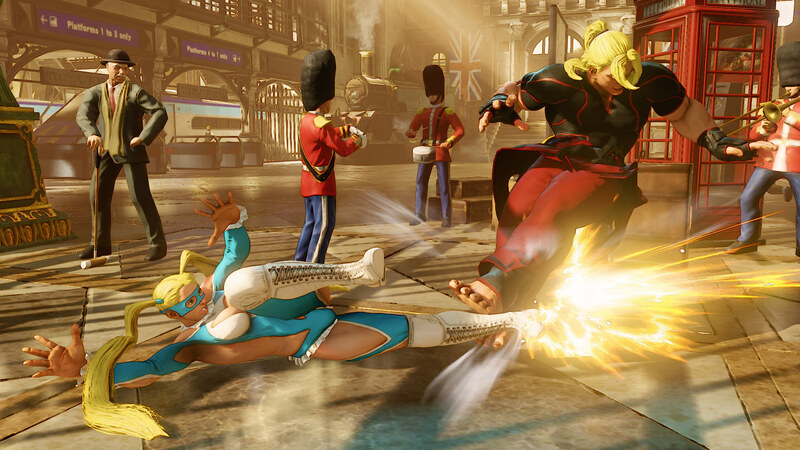 By calling Nadeshiko at the right time using R. Mika’s V-Trigger ability, players will be able to set up sneaky attacks and punishing command grab mix-ups that are sure to deliver devastating amounts of damage. 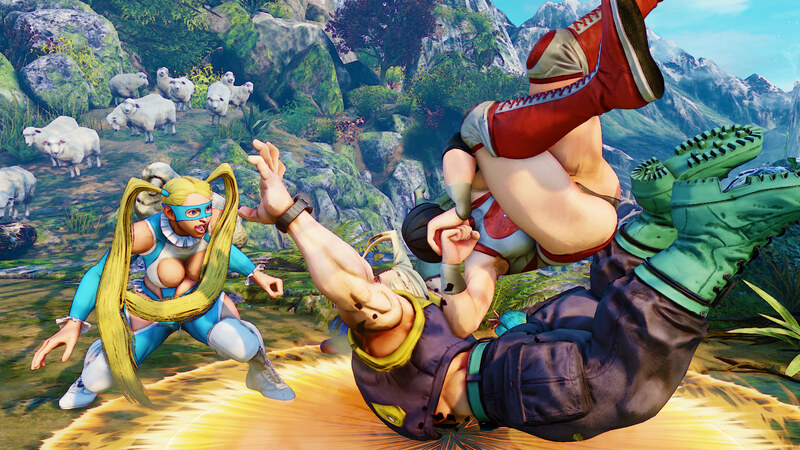 Players who enjoy putting on a stunning display of fear-inducing close-combat guessing games will find R. Mika a colorful and rewarding way to play. 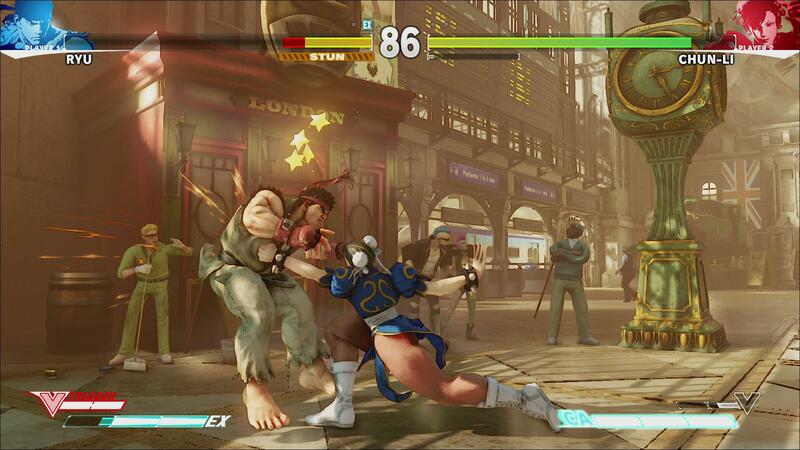 Further, a blog post over at Capcom Unity gave more insight into R. Mika's V-Skill and V-Trigger in the game. 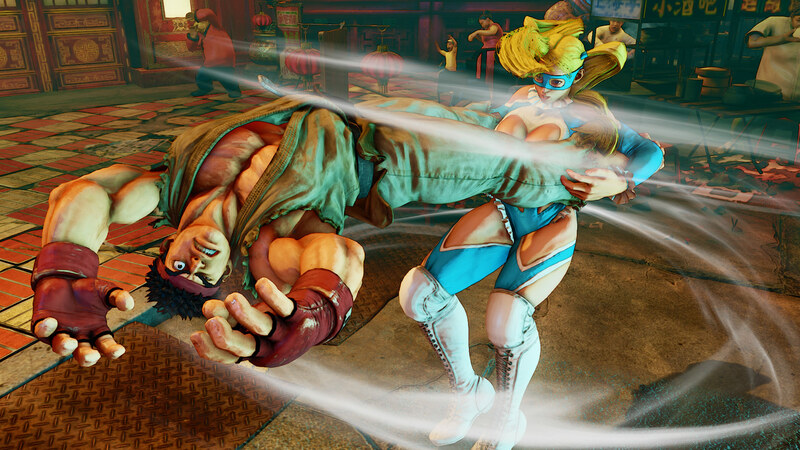 V-Skill: R. Mika's V-Skill, Mic Performance, has R. Mika start a monologue to pump up the crowd. 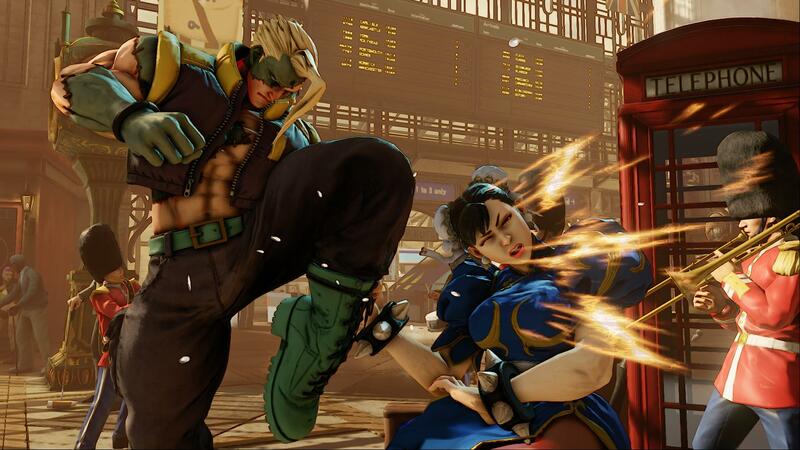 The longer this continues, the stronger her throws become, both normal and special. 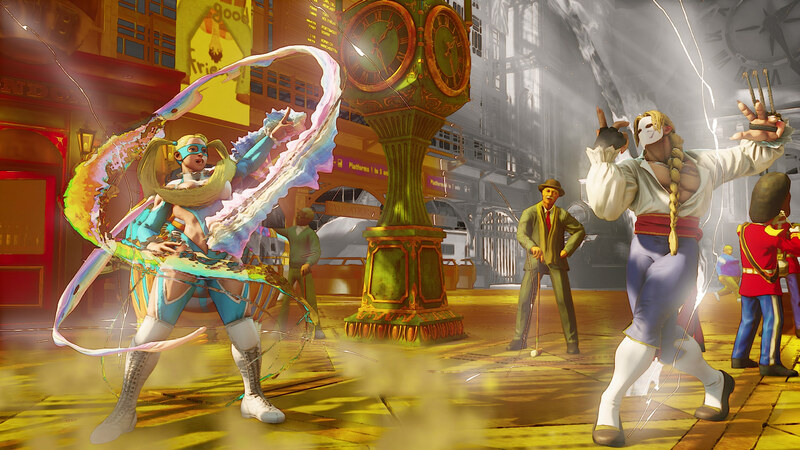 While doing the monologue, she has armor for one hit, and the speech is cancellable at any time by letting go of the button, at which point R. Mika will throw her mic at the opponent. 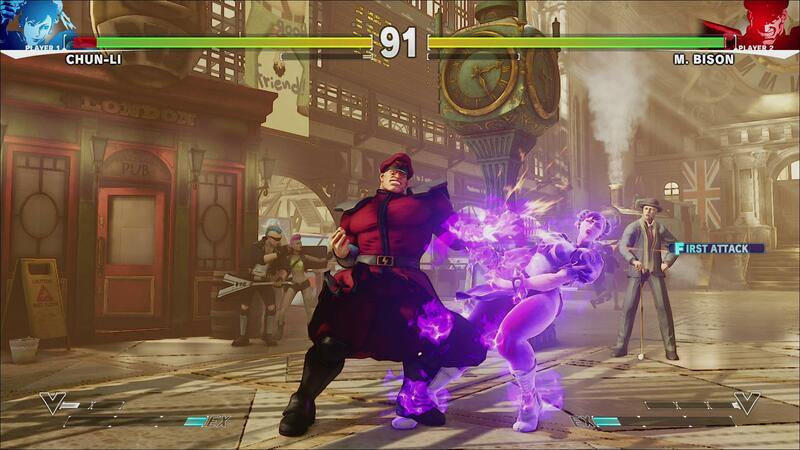 V-Trigger: Her V-Trigger brings her partner, Nadeshiko, into the ring, and has different variations available for use. 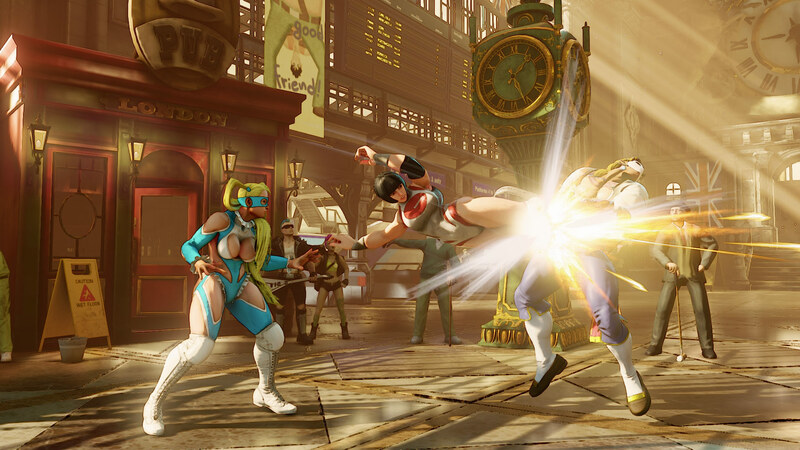 Depending on the direction you hold, Nadeshiko will attack R. Mika's opponent with a different move. 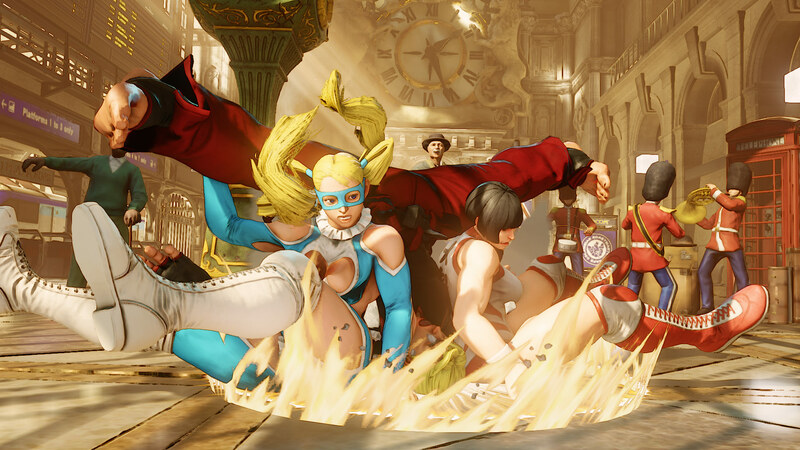 Neutral gives a body splash from above, holding back causes her to launch a dropkick from the front and holding forward brings a dropkick from behind. 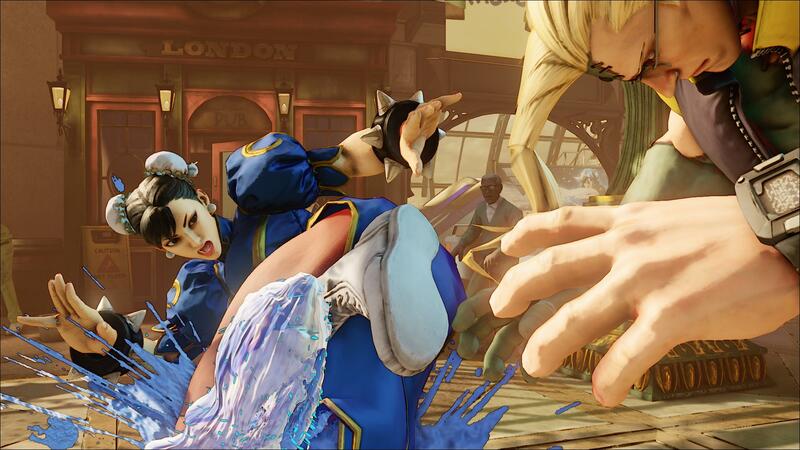 This makes the guessing game all the more dangerous for the opponent, and helps R. Mika set up her command throws more safely. 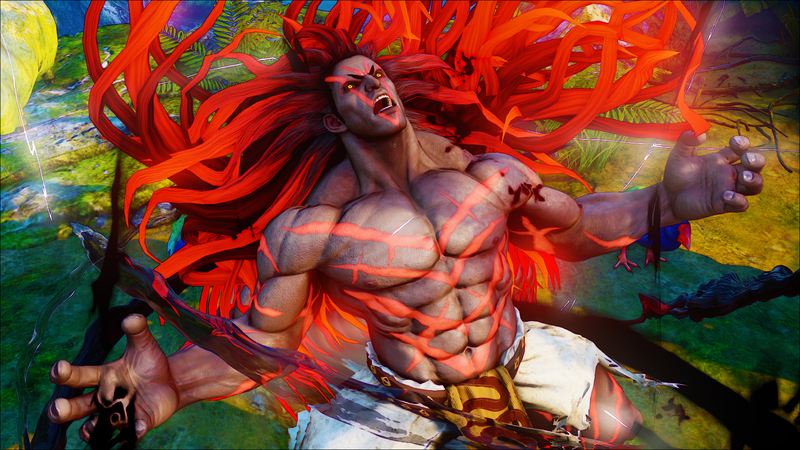 Hey everyone, I come bearing titillating details on our second Street Fighter V global beta coming your way on October 22nd and running through October 25th (dates subject to change, exact times to be specified later). There are a lot of things we plan to test over the four days the beta is live, most importantly, cross-platform play between PC users and PS4 users! Before we get into the nitty gritty details, I would like to first and foremost reiterate that this is a beta, and as such, users may experience issues. 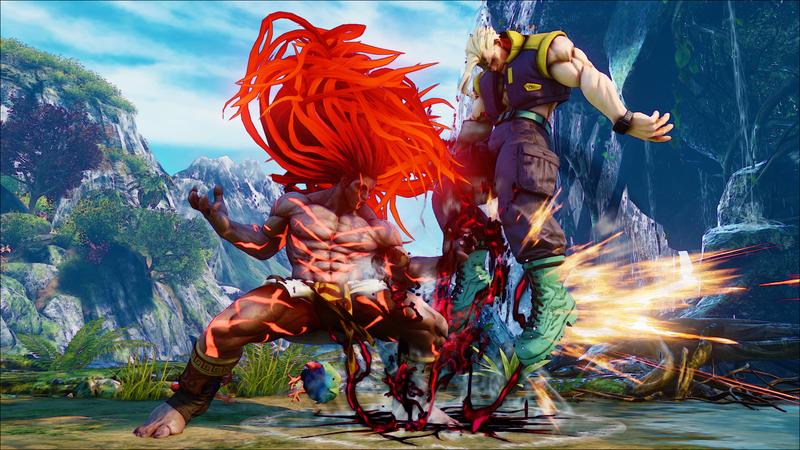 It’s these issues, however, that provide Capcom with valuable information to ensure that Street Fighter V is as optimized as possible upon final release, so we appreciate your patience and understanding during this time. Now that we got that out of the way, on to what you can expect to see in this global beta. We’re opening up beta access to PC users for the first time. 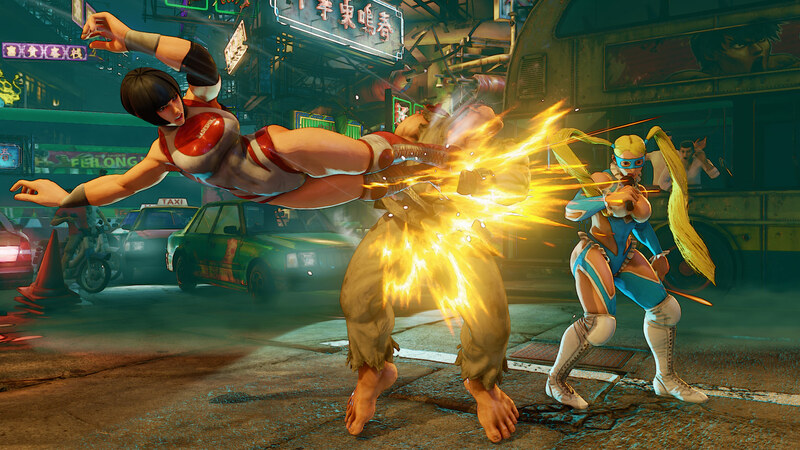 Please check the minimum specs post here to make sure that your PC is able to run SFV properly. 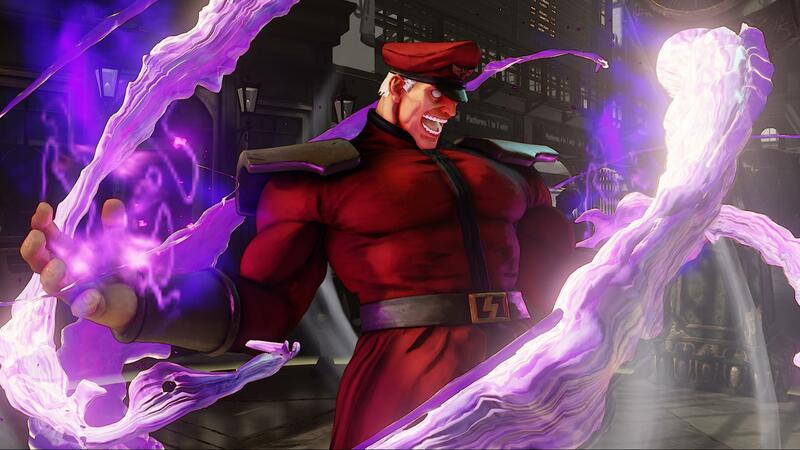 Although the minimum specs will allow you to run SFV on your PC, the recommended specs will ensure you have an optimal SFV experience. PC users gain access to the beta starting October 24th. 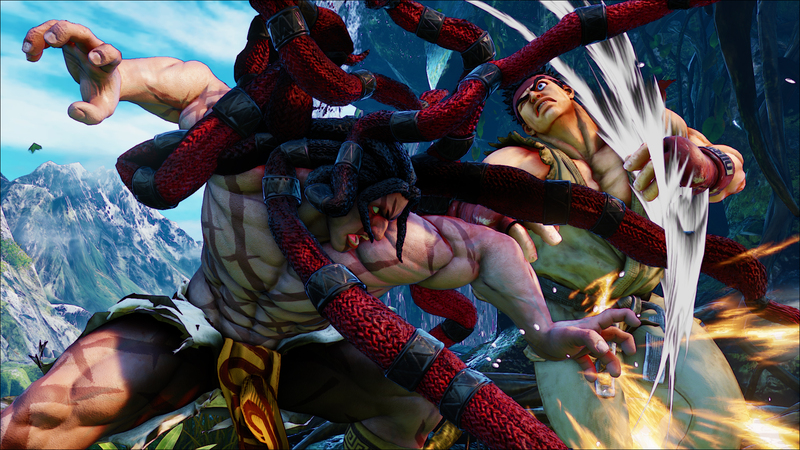 We will be testing out PS4 to PC cross-platform play functionality on October 24th and 25th. This is a first for us and we are very excited for players across both platforms to finally have a chance to battle one another. Make sure to bring your best strategies as the number of people that you can fight against will be that much larger this time around. Since the last beta, we’ve announced quite a few new characters and I’m pleased to confirm that they will be selectable during the beta. 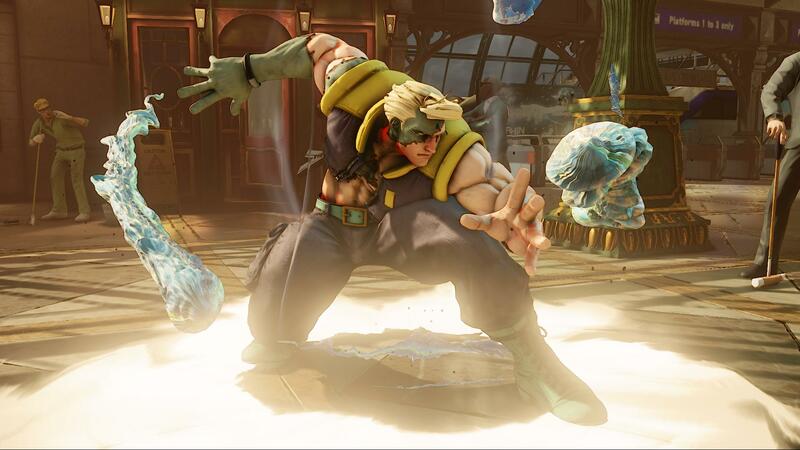 When the beta launches, Ken, Necalli, Vega and R. Mika will be selectable. 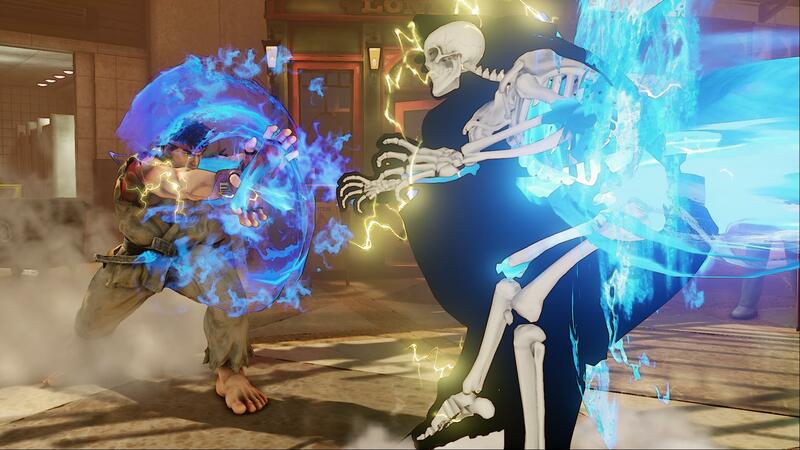 As we’re still reviewing our content delivery system, Rashid will be added in on day two (October 23rd) and Karin added on day three (October 24th). 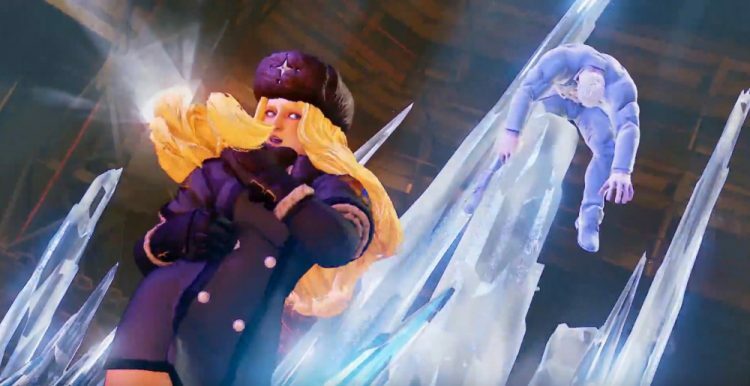 The characters from the previous beta: Ryu, Chun-Li, Cammy, Birdie, Nash and M. Bison will not be selectable this time around. 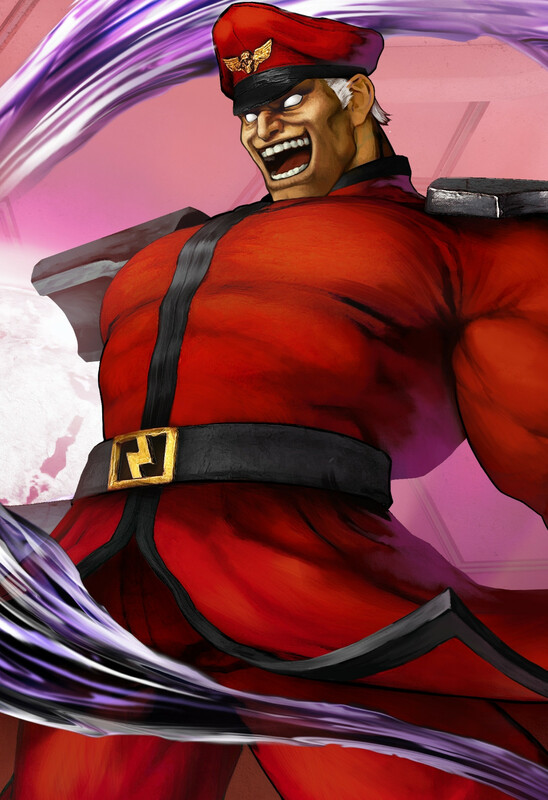 Do you desire to only play the strongest around? Well, ranked matchmaking will definitely be the way to go. 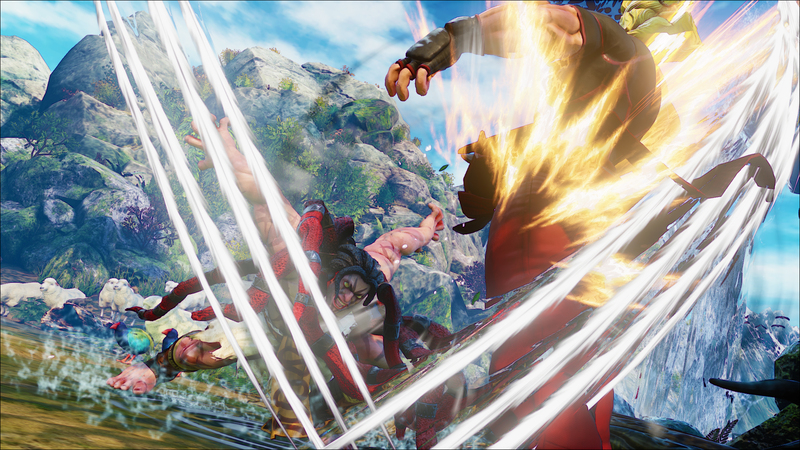 Players will be automatically paired with someone of equal skill, with pairings becoming more difficult the better one performs. GET HYPE! We will be keeping track of the beta’s cream of the crop through our leaderboards. This is the perfect time to show everyone (PC and PS4 users) that you’re the best around as your name shines brightly above the others. Interested in seeing what strategies the top players on the leaderboard are employing? Well, with the implementation of player search functionality, you can see what they’re doing and also check out their fighter profile. 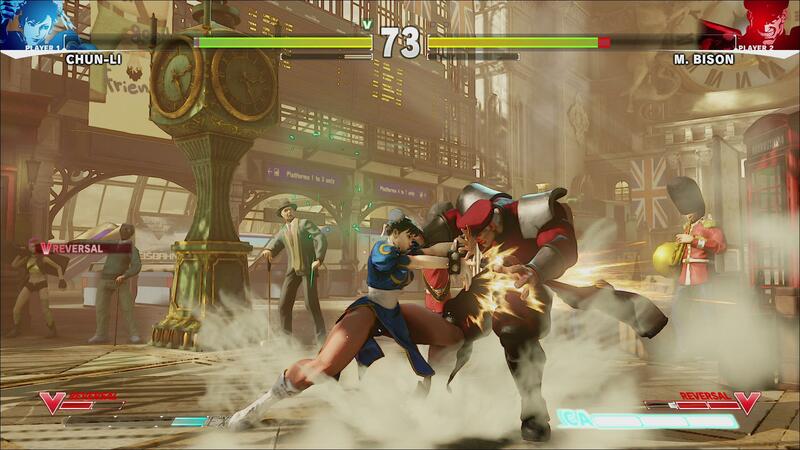 During the last beta, many players accumulated a lot of Fight Money, which they weren’t able to use. 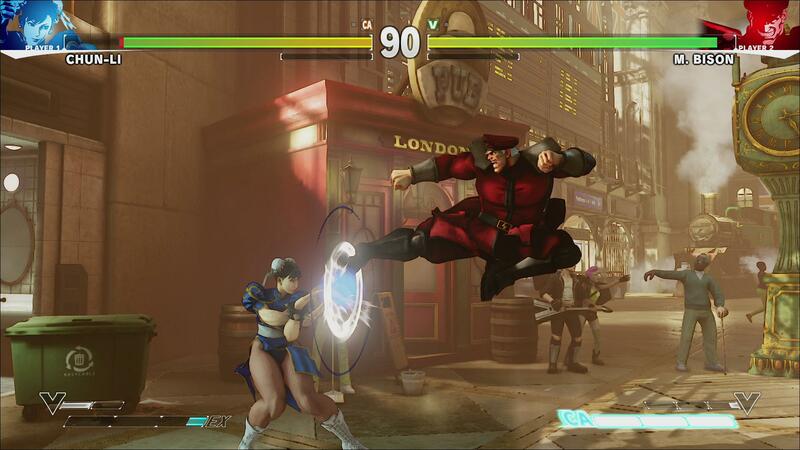 This changes as we’re testing out the ability to unlock items through fight money. 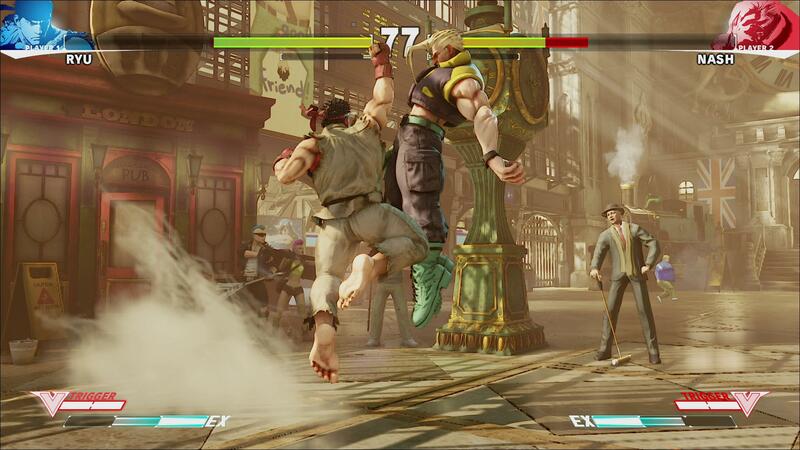 Players can look forward to unlocking titles and maybe even the Kanzuki Estate stage. Oh and just so we’re all on the same page, all things acquired (Fight Money, leaderboard status, titles) will only be available during this beta and will not carry over onto the next beta nor onto final release. The Fight Money pricing of items available to unlock and the rate that Fight Money is obtained are both still placeholder, and will not be indicative of the final product. Beta redemption keys will be e-mailed from the retailer you pre-ordered from. 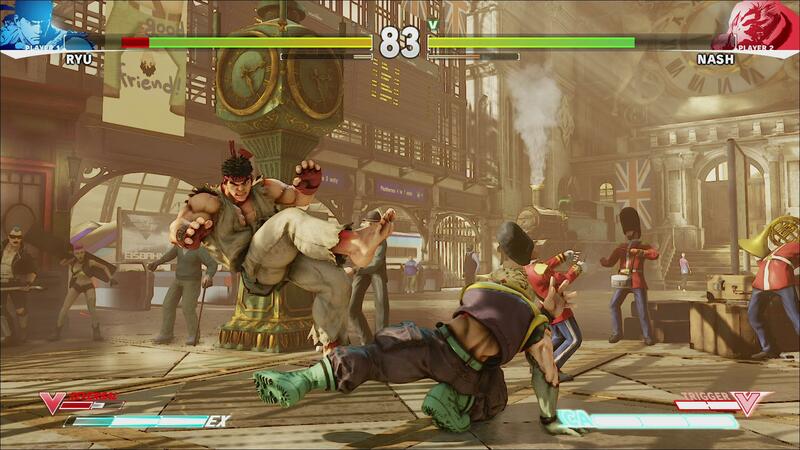 Once you get your beta key, you can input it immediately into PSN to download the Street Fighter V Beta client. 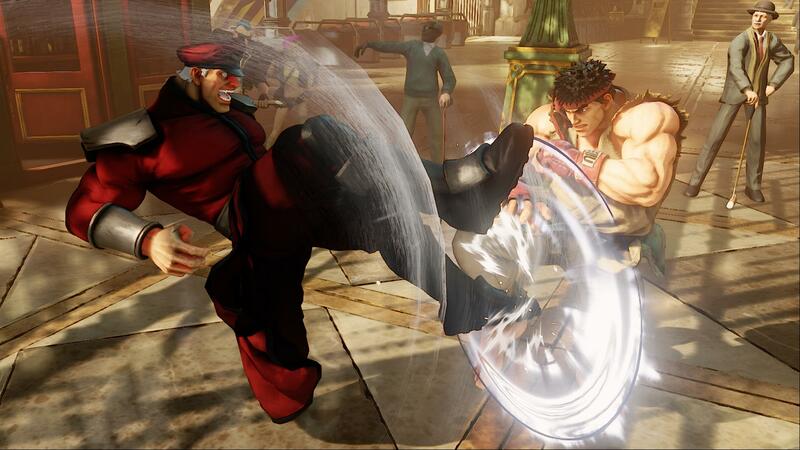 Users who pre-order digitally through the PlayStation Store will not need to redeem a beta key, but will need to manually download the Street Fighter V Beta client from the PSN store. If you had access to the first PS4 beta you will automatically have access to the second and there is no need to re-register. 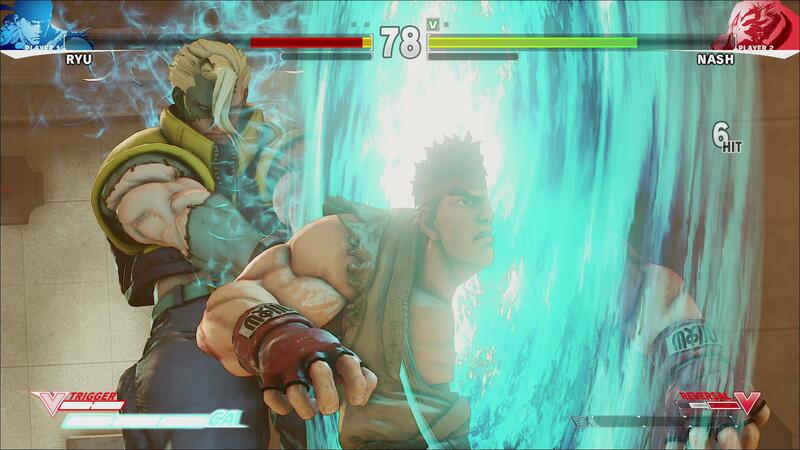 Users can get guaranteed beta access by pre-ordering Street Fighter V on the PlayStation Store. 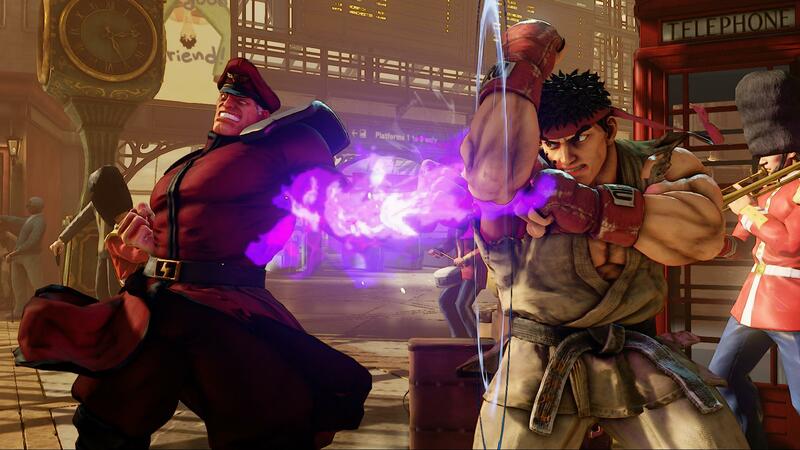 Users who pre-order digitally through the PlayStation Store will not need to redeem a beta key, but will need to manually download the Street Fighter V Beta client from the PlayStation Store. If you had access to the first PS4 beta you will automatically have access to the second and there is no need to re-register. Users can sign-up via the PlayStation Store for a chance at being selected to participate in the beta program. If you had access to the first PS4 beta you will automatically have access to the second and there is no need to re-register. Users who are selected to participate in the beta will receive an email to their registered PSN ID email with instructions on how to access their beta redemption key. 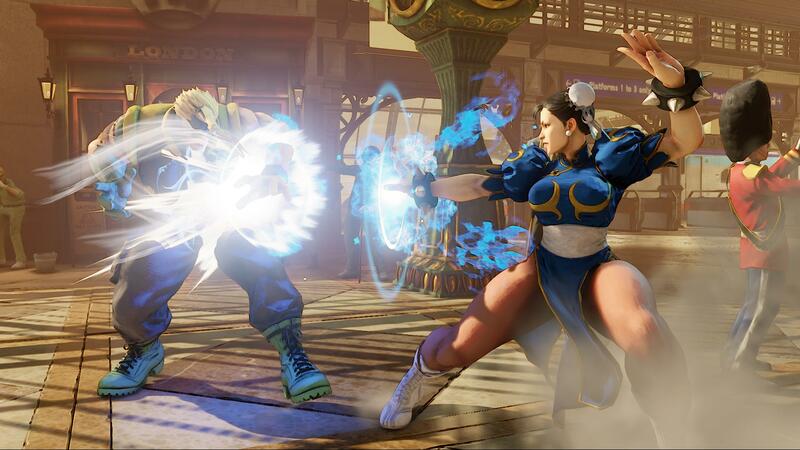 PlayStation Plus members can apply for beta access by downloading the “Street Fighter V Closed Beta Test” from the PlayStation Store. Notifications will be sent out to selected users. 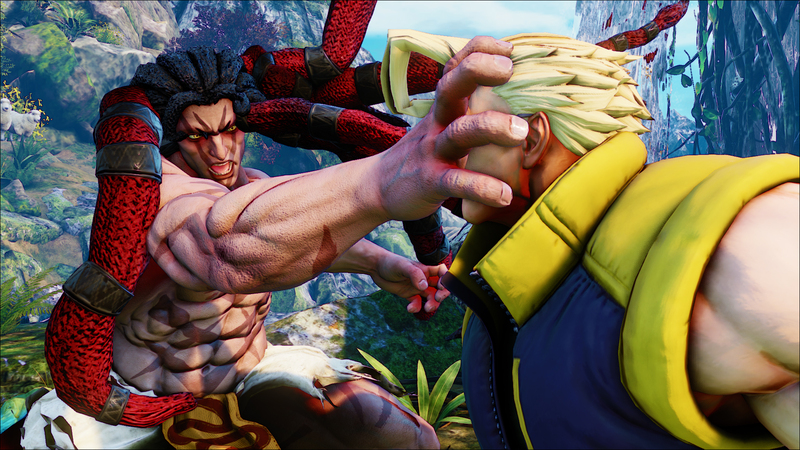 PlayStation Plus members can apply for beta access by downloading the “Street Fighter V Closed Beta Test” at the PlayStation Store. Notifications will be sent out. Guess that explains the free-to-play till the 21st thing. Originally posted in the Insomnia Discord. Insomnia Discord bot powered by proprietary next gen next level neural networked quantum learning self aware AI developed by Cult Games.